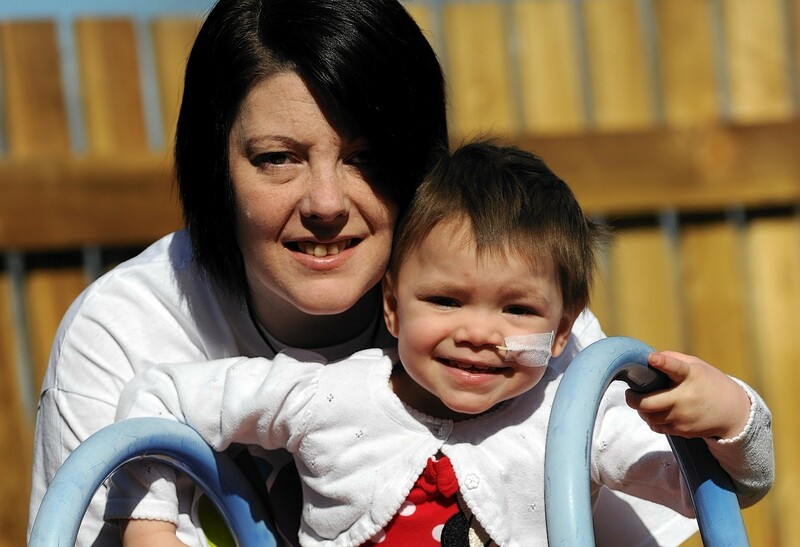 A Moray mum who set herself a three month target to find £100,000 for a potentially live-saving treatment for her toddler daughter has smashed her fundraising barrier. Eileidh Paterson has the high risk form of neuroblastoma, an aggressive childhood cancer of the nervous system. Her mother Gail and her family want to take the three-year-old from Forres to America for a pioneering drug trial which could prevent the disease from returning. People across the north-east and beyond responded in force and the official total raised for Eileidh’s Appeal has now topped a staggering £125,000. Last night, Ms Paterson said a massive thank you to all the community fund-raisers for giving her daughter a fighting chance. She said: “I don’t quite believe it at the moment. I don’t think it will actually hit me until we are on the plane. “When we launched the appeal, I thought there’s no way we’ll do that. It really is amazing how much people have done to help her in such a short space of time. Eileidh’s latest treatment ended in May. If her final scans – scheduled for next week – show no evidence of disease, she and her mother will travel to Helen DeVos Children’s Hospital in Michigan, USA, in early July. Four out of five children relapse after neuroblastoma treatment, so Eileidth’s appeal will remain open for five years – both to raise funds in case she needs urgent life-saving treatment and also to raise awareness of the disease. Ms Paterson added: “I’m still very cautious because we are still awaiting Eileidh’s results. It’s all down to her now. The family were joined in their fundraising appeal by Ncca UK — a neuroblastoma charity which supports families affected by the cancer.